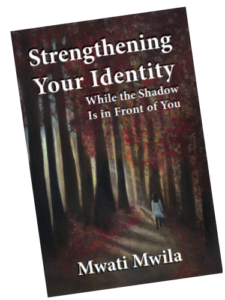 We all know life has its ups and downs, but when Mwati Mwila was diagnosed with bipolar disorder while a college student, she thought her life would mostly be down from that point on. Not understanding why she had been chosen to suffer, she found herself on an incredible journey of questioning God, considering ending her own life, and ultimately, traveling around the world for answers that could help to heal her. 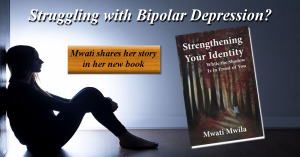 No stranger to adversity, before being diagnosed as bipolar, Mwati had already experienced discrimination. After traveling from her native Zambia, she was often the only African child in predominantly white schools in New Zealand and Australia. Now Mwati shares her incredible story. For orders of more than 5 books… please contact Mwati for special pricing…Thank You..
© 2019 Mwati Mwila - Author. All Rights Reserved.